What Will Life Be Like With No Credit History? HomeBlog BlogWhat Will Life Be Like With No Credit History? 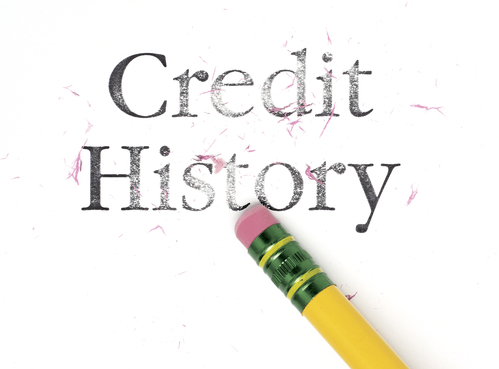 We all need a good credit history. It can help improve your financial life in a lot of ways. For those of you who are confused about it, this is basically what is in your credit report. It contains the credit activities of consumers. Every time someone borrows money, it is recorded in this report. When the consumer makes a payment or when they open another credit account, it will be placed in this credit report. It will be part of the history of the consumer’s credit. Now this report is very important in our society. At least, if you want to make serious financial transactions, you need to have a good credit report. It will help creditors and lenders gauge how responsible you are when handling borrowed money. But what if you have no interest in building up your credit history? What will happen if you have no entry on your credit report? How will it affect your personal life – specifically your financial transactions? One thing’s for certain – when you do not have a credit report, you do not have any debt. As mentioned, this report takes into account all of your credit activities. If you do not have any debt, then you do not have any credit history. Having no credit report is actually a choice. You can choose not to use any credit to make financial transactions. You can choose to just use cash so you will not be in danger of overspending your monthly budget. This choice, however, is not a popular one. According to an article published on TheSimpleDollar.com, Americans are notorious for their credit card use – which is obviously a form of credit account. The article cited a report from the Federal Reserve that states how the average American household owes $7,281 in credit card debt. The article does admit that this figure includes even the households that do not use credit cards. If the statistics only include the homes that use credit cards, then the average will jump to $15,609. That means a lot of people have chosen not to use credit cards. That may seem like a lot of people with no debt. However, you need to realize that there are other forms of debt like mortgages, car loans, student loans, etc. That means almost all Americans that are 18 years and above have some form of debt to their name. It is an indication that almost all of them have credit histories too. Now deciding not to join this statistic is obviously a very brave one. You will be joining the minority of people who have made a stand against the use of credit. While there may be a lot of benefits to having a credit report, there are also two things that it cannot do for you. It does not reveal your income situation. First of all, you need to realize that it does not have any bearing on your financial situation. Even if you do not have a credit report, that does not mean you do not have a salary. There is no difference between someone who is earning a minimum wage or a 6-figure income. A credit report only monitors your credit – not your income. Of course, your income will matter in some way – especially when calculating your debt to income ratio. But that is not a huge factor in your credit history. Your salary will not be reflected in your credit report. It does not guarantee your financial condition. Your lack of credit report will also reveal nothing about your financial condition. This is also true for those who have a good or bad credit record. Some people have a high income and stable financial situation and still have a bad credit report. Of course, having a bad credit report would make you more prone to have money problems but it is not a guarantee that you will be headed that way. Some may have a good credit record despite having a low income and unstable employment situation. It is also possible for you to have no credit history and have a very stable financial situation. You will have a stable situation if you have a steady source of income and you have an emergency fund that will allow you to survive even if that source is compromised. So, what are the real effects of having no credit report? Will it make your financial life more difficult or will it be an improvement? There are two important effects of having no credit history. It will be difficult to borrow money to invest. You may be wondering, why would I want to put myself in debt in the first place? Well, it is possible to live without debt, but there are some drawbacks to that. For instance, buying a home is usually easier when you take out a mortgage. Saving up to buy a new home in cash will take ages to do. It does not make sense to do that and waste money renting a house. If you really want to be smart about it, you should just take out a mortgage, live in that new home and pay for the monthly amortization. In most cases, your monthly payments end up being lower than the average rental rates. Having proven that you need to borrow money at some point in your life, you obviously need the help of a good credit report. Otherwise, it will be difficult for you to get the best loan terms in the market – if you can get an approval in the first place. When we say loan terms, the best ones would include low interest rates and reasonable financial charges. There is no way to gauge your creditworthiness. The other effect of having no credit history is on your creditworthiness. Every time you apply for a loan, you need to prove to the creditor or lender that you can be trusted with that credit. What better way to prove that than by showing them your past credit behavior. And guess what? Your credit report is the best way you can prove that. Since your credit report holds the history of all your credit accounts, any creditor or lender can see how you behaved. Did you pay on time? Did you hold too many debts at one point? How was your credit balance in relation to your credit limit? These are important consideration to gauge if you are a high risk borrower or not. The more appealing your credit history is, the more creditworthy you are. When you are considered to be very creditworthy, then you are a low risk borrower. That means the lender or creditor does not have to take steps to protect themselves in the event that you cannot pay back your loan. These protective measures usually come in the form of high financial charges and interest rates. Of course, having a credit report is one thing. Having a good credit report is another. According to Bankrate, having no credit report, although it is not the ideal situation, is still a lot better than having a bad credit record. Having no credit history means you have a clean slate. Having a bad credit report means you have been a very naughty credit holder. The bottom line is – if you cannot maintain a good credit history, then you might as well just have no history at all. Building your credit history from scratch is easier than rebuilding a bad credit report. Here is a video from the Bank of America that will give you tips on how you can build your credit history from scratch. Borrow money wisely. First of all, you need to learn how to borrow money in a smart way. Unfortunately, some Americans will have to take more lessons when it comes to this. According to an article published on USNews.com, 37% of Americans are in a dangerous financial situation. It is revealed by the study done by Bankrate that 1 out of 3 consumers have more credit card debt than their emergency savings. If something goes wrong, it can put them in a very difficult financial position. You need to learn how to borrow wisely. Although a credit report requires you to use credit, you need to choose which debts can improve your life. Do not just borrow just for the sake of using credit. Pay your dues on time. When you borrow money, you need to pay it back in time. The biggest consideration in your credit history is your payment behavior. If you cannot pay your dues in time, your credit report will suffer greatly. Have multiple loan types. Multiple loan types do not mean having a lot of credit card accounts. Your credit card, regardless of how many you have is only counted as one. Multiple loans mean having a revolving credit (credit cards) and non-revolving credit (mortgage). Be mindful of your credit balance. Credit utilization is also very important. This is the relationship between your balance and your limit. The nearer the balance is to your limit, the more damaging it is to your credit history. Do not open too much credit accounts all at the same time. Opening too many credit accounts is also not good. You need to space your new accounts – if you really need them all. You need to learn how to time your applications so that it will not result in a lot of hard inquiries on your credit report. A credit history is not really compulsory but it can help set up your future so you can be financially stable.